Downtown Los Angeles covered in smog. Bit by bit over the past few decades, scientists have been building a new understanding of the ways that air pollution threatens human health. Much of their attention has been focused on lung diseases, including cancers. With good reason, it turns out: just last month, the World Health Organization declared air pollution to be one of the planet’s most dangerous environmental carcinogens. But cardiovascular disease is much more common than cancer. Sadly, there is now a pile of evidence, sometimes startling, that air pollution also plays a role in heart attacks and strokes. The new studies suggest that air pollution not only worsens cardiovascular disease — but can also cause it. Scientists like Dr. Adar have been studying fine particulates adrift in the cloud of unfriendly gases shrouding many of our communities. Measuring 2.5 micrometers (or microns) or less, these bits of material are so tiny that it would take about 30 of them to equal the diameter of a human hair. A series of studies has found that they penetrate deep into the lungs, embedding in tissue and setting off a cascade of inflammatory effects. Researchers believe the inflammation also spreads into the circulatory system, altering the way blood vessels function. Although air pollution is a long-recognized and regulated health hazard, only gradually have researchers come to appreciate the threat of particulates. In 1989, C. Arden Pope III, a professor of economics at Brigham Young University, published a paper based on the temporary shutdown of a nearby steel mill, showing a linear relationship between emissions and hospitalizations. He traced the illnesses to particulates in the air. Dr. Pope originally had focused on air pollution’s effects on the lungs, but over the years he kept turning up increases in cardiovascular disease. “By 2002, I’d given up on the idea that this was just some anomaly in the study design,” he recalled in an interview. Eventually he identified the culprit: fine particles, far smaller than those tracked in his original steel mill study. “The deeper you dive into the data, the more clearly you see the effect on cardiovascular disease,” Dr. Pope said. Dr. Adar and her colleagues have been tracking the damage at the microscopic level in the Multi-Ethnic Study of Atherosclerosis and Air Pollution (MESA Air), which has followed more than 5,000 people in six states for more than a decade. It is funded primarily by the National Institutes of Health and the Environmental Protection Agency. Researchers working with the project have contributed to an increasingly precise understanding of risks associated with fine particles that float in polluted air. Dr. Adar and her colleagues have shown, for instance, that increased exposure to pollutants, after other factors are factored out, can be directly linked to narrowing of blood vessels and to a steady thickening of artery walls. Their most recent study, published this year in PLoS Medicine, described a near-linear relationship: as air pollution levels dropped, the thickening slowed. When exposure to air pollutants increased, signs of damage increased. The MESA Air study also has reinforced a sense that vehicle exhaust may be unusually harmful. Researchers in the United States and many other countries have linked traffic pollution to heart rate variability in a range of people – from vehicle drivers to bicyclists traveling congested roadways. A study published this year in Environmental Health found evidence of “acute changes” in heartbeats in people, aged 22 to 56, driving in Mexico City traffic. Another recent study, of bicyclists in Ottawa, found that their heart rhythms appeared to be altered for hours after they had returned home in ways unrelated to exertion. “There’s increasing evidence that there’s something about traffic-related pollution in particular,” said Dr. Joel D. Kaufman, an epidemiologist at the University of Washington in Seattle. Vehicle emissions are thought to include an unusually high proportion of very small, or ultrafine, particles, allowing them to penetrate deeper into the body. Researchers say there is also some evidence that the shape of these particles gives them an unusually high surface area, which permits other contaminants to stick onto them. As a result, they may actually concentrate toxic compounds in polluted air. “The evidence is pretty overwhelming that fine particles do harm,” said Dr. Russell V. Luepker, a cardiologist and epidemiologist at the University of Minnesota School of Public Health, a co-author of two scientific reports on air pollution for the American Heart Association. But, he added, health choices — such as poor diet, smoking and lack of exercise — and conditions such as hypertension still pose greater risks. “If we got rid of air pollution, heart disease would not disappear,” Dr. Luepker said. h effects of air pollution are starting to look at ways that their findings can be used for greater protection. Dr. Adar and her colleagues are looking for ways to better identify and control the most dangerous vehicle emissions, while other scientists are pondering everything from improved air purifiers to particle-absorbing barriers. But one of the most effective responses is environmental regulation. 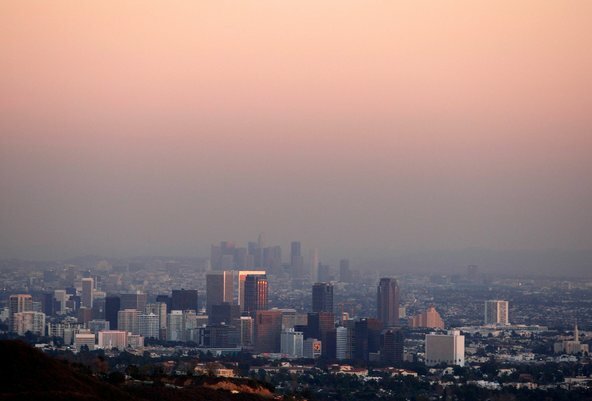 Several decades of clean air regulations in the United States have had lifesaving effects. A study published this year in the Journal of the American Medical Association estimated that there has been a 35 percent drop in deaths and disabilities related to air pollution, including cardiovascular diseases, in the United States since 1990. “Our public policy efforts to reduce air pollution are one of the most effective medical interventions in the last 20 to 30 years,” Dr. Pope said.